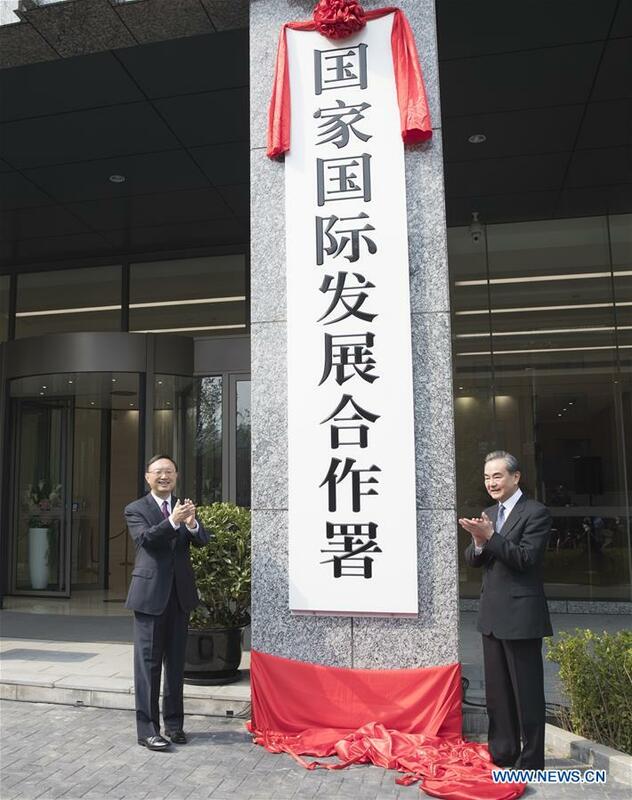 BEIJING, April 18 (Xinhua) -- China Wednesday officially unveiled its International Development Cooperation Agency. The new agency will be responsible for strategic guidelines and policies on foreign aid; coordinating and making suggestions on major related issues; reforming the foreign aid system; and making plans and overseeing their implementation. Yang Jiechi, member of the Political Bureau of the Communist Party of China (CPC) Central Committee and director of the Office of the Foreign Affairs Commission of the CPC Central Committee, said that the agency would safeguard world peace and promote common development. The agency is important for Chinese diplomacy and the Belt and Road Initiative, said Yang. He said that for more than 60 years, China has provided assistance to other developing countries without any political conditions. China will strengthen cooperation with developing countries, and increase aid, especially to the least developed countries, to contribute to narrowing the North-South gap and building a community with a shared future for humanity. Chinese State Councilor and Foreign Minister Wang Yi also attend the ceremony.